It was located in the tiny village of Crillon le Brave. I was reviewing the hotel. It was nice. 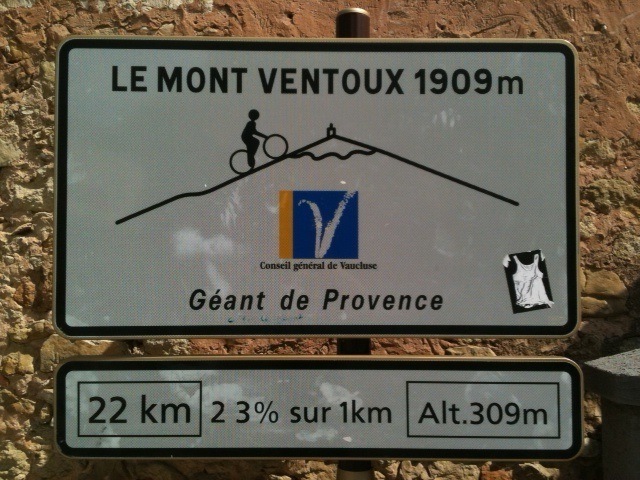 We drove up nearby Mont Ventoux, legendary gruelling leg of the Tour de France and scene of the death of English cyclist, Tommy Simpson. 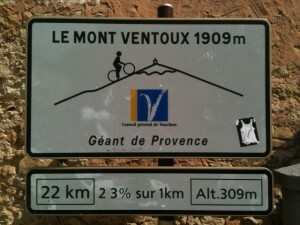 Mont Ventoux is quite an ascent look. Us driving back down. So steep. Jo seemed to react badly when I made the car wobble. This is all vaguely pertinent as tomorrow I’ll be participating in the Etape Calendonia, a cycling road race in Scotland. This also explains why this blog is mostly pictures and videos. I’ve got to get up in six hours and start eating bananas in preparation. After two days in Crillon le Brave we travelled 10km down the road to un B-et-B. From there we launched ourselves into a local market, where I knocked over and smashed a glass vase that for some reason was placed on the floor (yes I’m bitter). It cost me 40 euros and led to some swearing. While we were away I was reading a little-known book entitled The Water Carnival (1957) by Jeremy Brooks. I mention this because one of the chief protagonists, Oliver Earl, is a cad-like scrounger based on my dad. 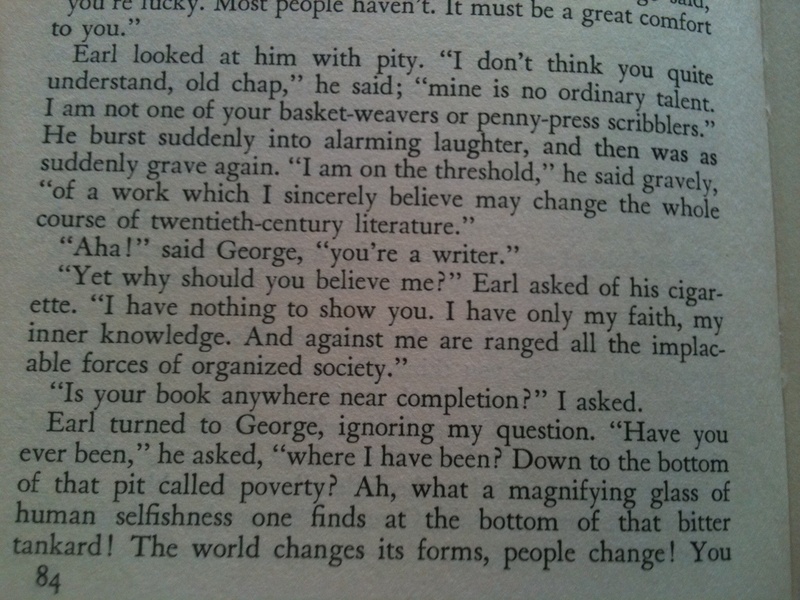 Much of it centres around Earl’s intentions to write The Great Novel. 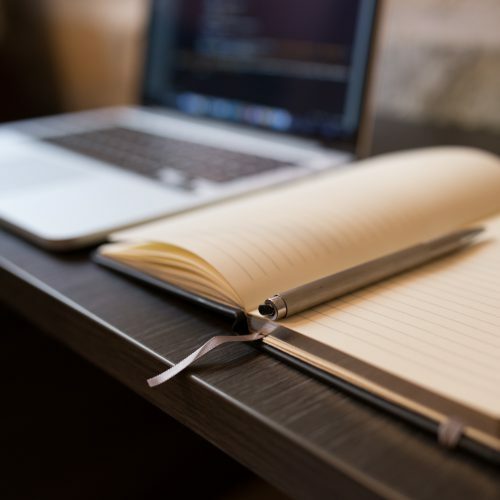 …with this essay I wrote a while back (a version of which appeared in the Guardian lah-dee-dah). 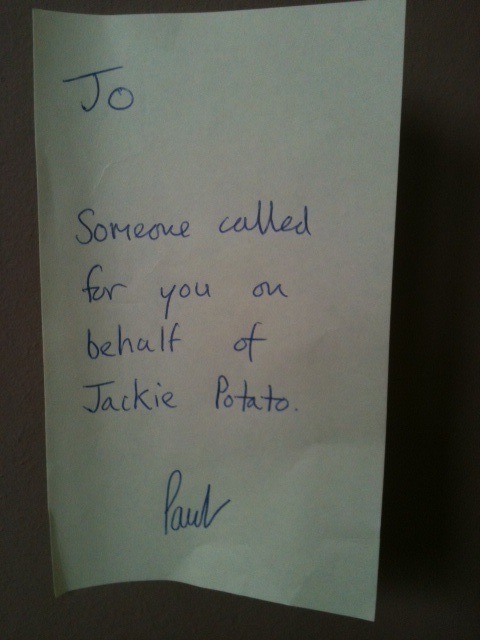 Yesterday I attempted to prank call Jo at work. Her assistant answered and took down this message.